The manufacturer of the first approved vaccine for dengue has warned it could worsen the mosquito-borne disease in people who have not previously been infected. The World Health Organization said on Monday it hoped to conduct a full review by the end of the year of a dengue vaccine that was suspended last week in the Philippines. The Philippines also ordered an investigation on Monday. 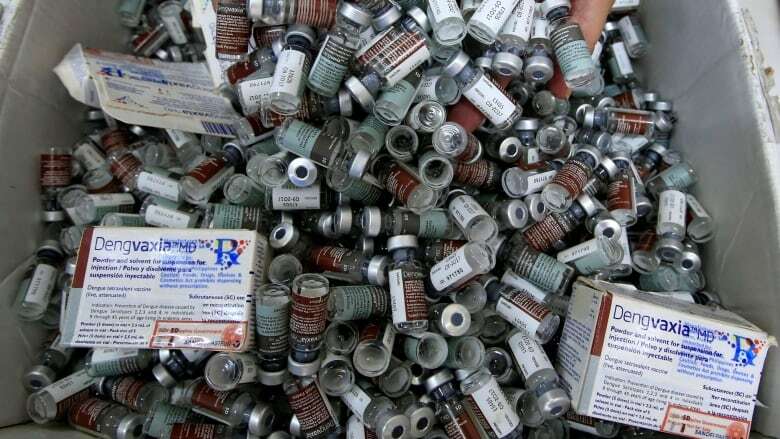 On Friday, the department of health halted its dengue immunization program after the manufacturer, French drug company Sanofi Pasteur, announced the vaccine must be strictly limited due to evidence it can worsen dengue in people not previously exposed to the infection. More than 730,000 children in the Philippines have received the vaccine, commonly known as Dengvaxia. The WHO has recommended that the vaccine only be used in people who have had a prior dengue infection. The government of Brazil, where dengue is common, confirmed it already had recommended restricted use of the vaccine but had not suspended it entirely. Amid mounting public concern, Sanofi explained its "new findings" at a news conference in Manila on Monday but did not say why action was not taken after a WHO report in mid-2016 that identified the risk the company was now flagging. A non-governmental organization (NGO) said it had received information that three children who were vaccinated with Dengvaxia in the Philippines had died and a senator said he was aware of two cases. 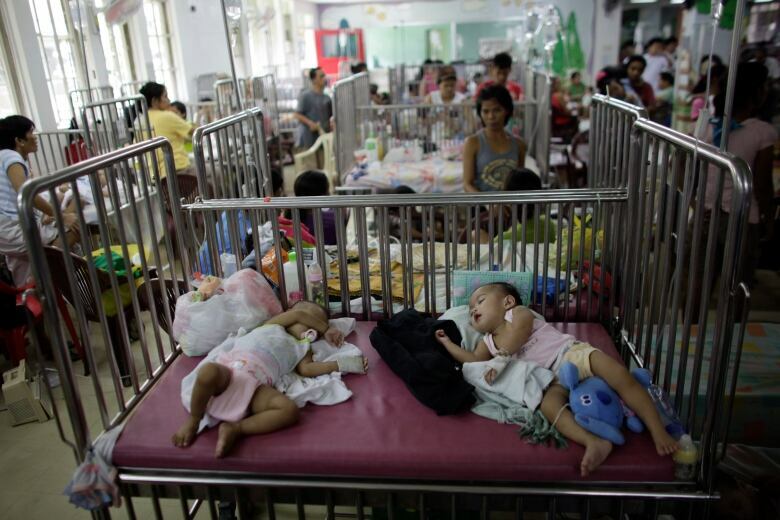 However, Department of Health Undersecretary Gerardo Bayugo told Reuters the three referred to by the NGO died due to causes not related to the vaccine and Sanofi said no deaths had been reported as a result of the program. 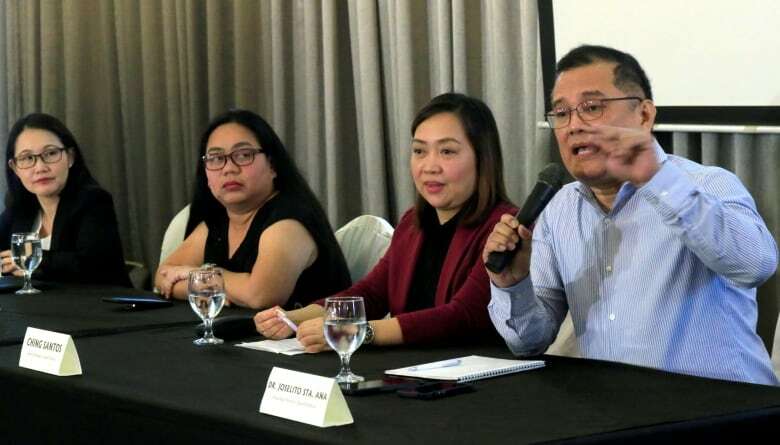 "As far as we know, as far as we are made aware, there are no reported deaths that are related to dengue vaccination," said Ruby Dizon, medical director at Sanofi Pasteur Philippines. Nearly 734,000 children aged nine and over in the Philippines have received one dose of the vaccine as part of a programme that cost 3.5 billion pesos (more than $80 million Cdn). The Philippines Department of Justice on Monday ordered the National Bureau of Investigation to look into "the alleged danger to public health ... and if evidence so warrants, to file appropriate charges thereon." There was no indication that Philippines health officials knew of any risks when they administered the vaccination. However, the WHO said in a July 2016 research paper that "vaccination may be ineffective or may theoretically even increase the future risk" of severe dengue illness in people who hadn't been exposed to it prior to their first vaccination. Singapore's Health Sciences Authority said last week that it flagged risks when Dengvaxia was approved there in October 2016, and was working with Sanofi to strengthen risk warnings on the drug's packaging. According to Sanofi in Manila, 19 licences were granted for Dengvaxia, and it was launched in 11 countries, two of which (the Philippines and Brazil) had public vaccination programs. Brazil's healthcare regulator Anvisa said in a statement that it now recommends that people who have never been infected with dengue not take the vaccine, which was approved for use in Brazil at the end of 2015. It was not known whether many people have taken the vaccine, if it was part of any government immunization program or if any illnesses or deaths linked to the drug have been reported to the Brazilian government. Anvisa did not immediately respond to a request for comment, nor did the health ministry. A spokesman for Sanofi in Paris was not immediately available for comment. A spokesman for Philippines President Rodrigo Duterte said on Sunday the government would hold to account those responsible for the program. Former Health Secretary Janette Garin, who implemented the program under the administration of then-President Benigno Aquino, said she welcomed the investigation. "In the event that there will be authorities who will point culpability to me, I am ready to face the consequences," she told ANC TV. "We implemented it in accordance with WHO guidance and recommendations." Presidential spokesman Harry Roque said there had been no reported case of severe dengue infection since the vaccine was administered and urged the public "not to spread information that may cause undue alarm." Dengue is a mosquito-borne tropical disease. Although it is not as serious as malaria, it is spreading rapidly in many parts of the world, killing about 20,000 people a year and infecting hundreds of millions. While Sanofi's Dengvaxia is the first-ever approved vaccine for dengue, scientists already recognized it was not perfect and did not protect equally against the four different types of the virus in clinical tests. A new analysis from six years of clinical data showed Dengvaxia vaccine provides persistent protective benefit against dengue fever in those who had prior infection. But for those not previously infected by the virus, more cases of severe disease could occur in the long term following vaccination, Sanofi said.